BASSIN’ USA: How long has your company been in business? BASSIN’ USA: Were the images used to make your decals created exclusively for your company, or are these images available through other companies too? Fishin Decals: The artwork is 100% original. We’ve worked with some amazing artist to get each fish proportionally and visually as close to the real thing as possible. Our decals are only available at a few select resellers. BASSIN’ USA: Can the adhesive used to stick onto cars, boats, etc. damage the paint or finish? Fishin Decals: The adhesive is pretty dang tough. It will stick on to any hard, clean surface. Cars, boats, kayaks, tackle boxes, mailboxes, etc. The adhesive is paint safe but that being said it’s very strong and the bond will become stronger over time. BASSIN’ USA: How easily can these be removed from a car, boat, wall, etc. when they’ve been on for several months? Fishin Decals: If you need to reposition the decal you’ll want to do so within the first few minutes of application. If you’d like to remove the decal — peel slowly and it should come right up. BASSIN’ USA: What sizes are they available in and do you ever plan to offer larger sizes? Fishin Decals: The sizes of the decals are specific to the unique proportions of the fish for the moment never exceed 3 inches in height or 8 inches in width. We’re playing with the idea of larger decals. But we’ve also got some smaller “rod” decals which are pretty cool. BASSIN’ USA: What new species and/or options can people look forward to seeing in the future? 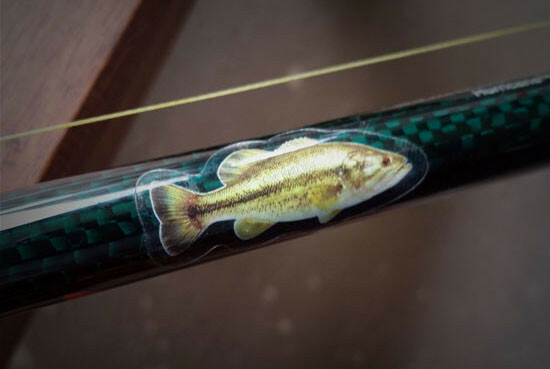 Fishin Decals: One of our primary focuses is getting decals for more game fish. We think it’s really important that the angler can show which fish they love to catch so we’re working hard to create decals for as many species as possible. Both freshwater and saltwater fish, even some exotic or invasive species. People can make suggestions to us HERE. We’re also rolling out a few new styles of decals that include more “action” shots of the fish jumping or chasing lures. 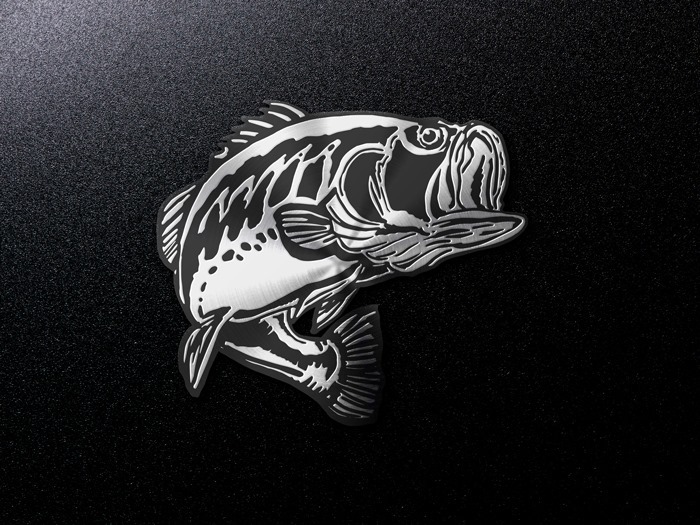 And we’ve also got a few chrome decals in the works for largemouth bass and salmon. So far my decals have been out in the elements for over a month and they still look new. They have a wide selection of species to choose from for both salt and fresh water. Visit their website at www.FishinDecals.com for pricing information and to check out their full line of fish decals! 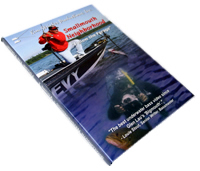 When I received my copy of Smallmouth Neighborhood, I was thrilled. Here we go… details on Smallies from one of the “Big Sticks” that live in one of the emerging smallmouth capitols in the Northland!